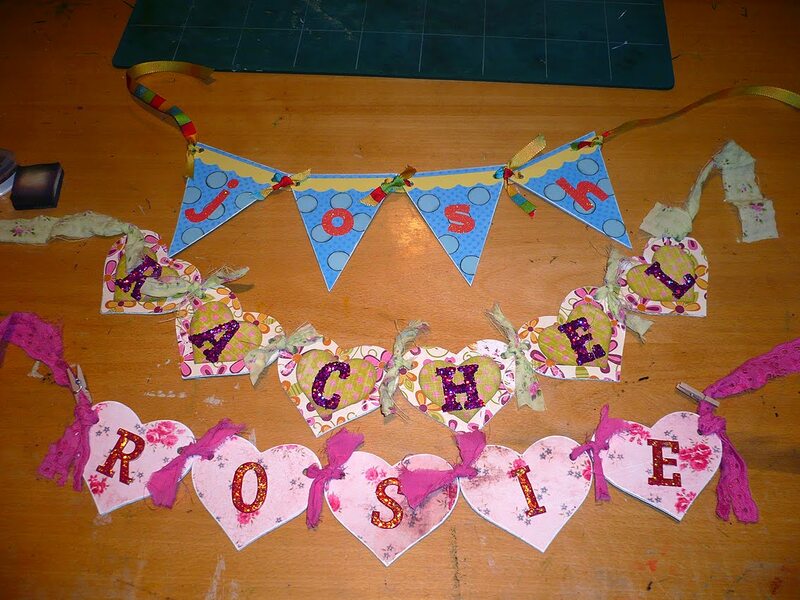 Been busy with my sizzix making these cute banners for my nieces and nephew's xmas. I hope they like them. Had fun catching up with the crafting ladies at Crafty Allsorts club last night. I took a couple of projects along and as usual completed none of them. I have to say I just don't seem to have the knack of preplanning and packing what stash I might want/need to use - result being I don't usually have the right stuff with me to do anything much. For example :- I forgot to take my guillotine with me, my friend didn't have hers either. We both had our heat guns - but had no idea why we'd brought them LOL! Shambles - moi? Nevermind, all was not lost as I had at least packed a scalpel and ruler - phew! I'm a terrible one for flying by the seat of my pants but I like the spontaneity of that - hate to plan anything in case I decide I don't want to do it anymore. Heehee! Have a crafty weekend folks! These are just wonderful! I'm sure they will be treasured!